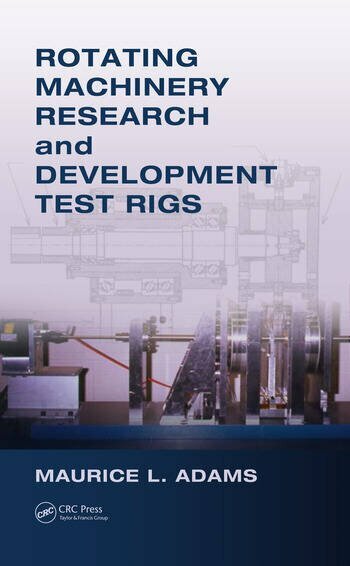 Rotating Machinery Research and Development Test Rigs presents the purpose and development processes for test apparatuses built for Research & Development in machinery technology and product development. Each R & D apparatus is the focus of an entire chapter, with fifteen detailed case studies included from mechanical, aerospace, chemical and biomedical engineering. Specific machinery components covered include bearings, seals, power plant pumps, rotors, turbines and compressors. Machinery condition monitoring and product development processes have been integrated. The specific purpose and results for each test rig are comprehensively presented and explained. 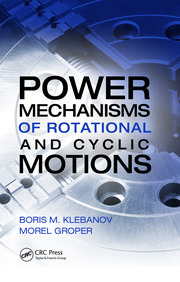 Radial and Axial Rotor Force Design Technology. Table-Top Rigs: Bently-Nevada Rotor Kit and Automatic 2-Plane Rotor Balancing. Large Steam Turbine Generator Turning-Gear Slow-Roll Journal. Bearing Load Capacity. Journal Bearing and Seal Rotor Dynamics. 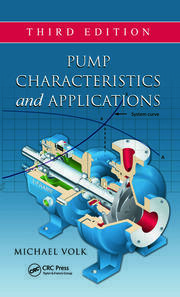 Model-Based Condition Monitoring of Nuclear Power Plant Pumps. Pumping Fluid-Solid-Particle Mixtures. Ohio State Gas Turbine Lab. Swiss Federal Institute Cavitation Research Facility at EPFL Lausanne. Swiss Federal Institute Turbomachinery Lab at ETH Zurich. Axial Location and Size of Progressing Shaft Cracks. State University Wind Turbine Tower. Compressor Refrigerant-Oil Separation Seal Development. Combined-Impeller Turbine-Driven Pump. Water-Lubricated High-Speed Bearings. Aircraft Engine Compressor Blade Tip Rubs. Centerless Grinder Inside-Out Pivoted-Pad Bearing. MIT Gas Turbine Lab. Texas A & M Turbo Lab. University of Akron Bearing and Seal Lab. 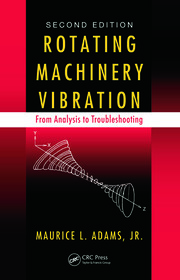 Maurice L. Adams, Jr. is the founder and former president of Machinery Vibration Inc., as well as a professor of mechanical and aerospace engineering at Case Western Reserve University. The author of over 100 publications and the holder of U.S. patents, he is a member of the American Society of Mechanical Engineers. Professor Adams received the BSME degree (1963) from Lehigh University, Bethlehem, Pennsylvania; the MEngSc degree (1970) from Pennsylvania State University, University Park, Pennsylvania; and the PhD degree (1977) from the University of Pittsburgh, Pennsylvania. Dr. Adams worked on rotating machinery engineering for 14 years in industry prior to becoming a professor in 1977, including employment at Allis Chalmers, Worthington, Franklin Institute Research Laboratories, and Westinghouse Corporate R&D Center.